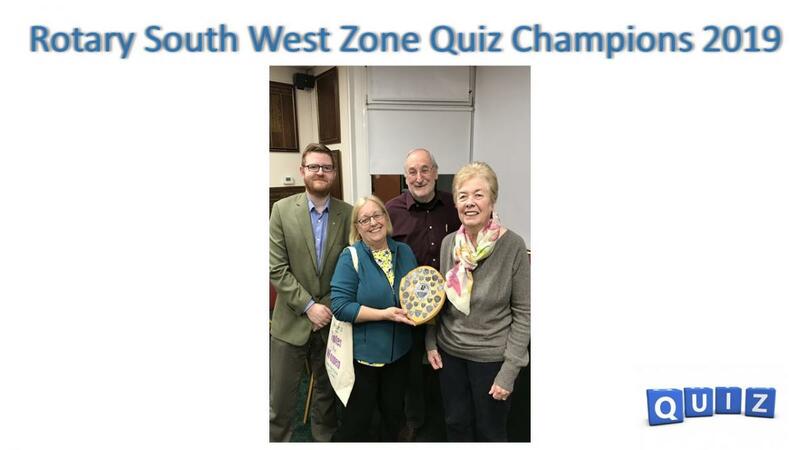 Newton Aycliffe played Consett B in the quiz final of the South Western Zone on Thursday 11th April at Consett Golf Course Club House. The hospitality from Consett was fantastic and was much appreciated. It was a remarkably close contest with both teams dropping very few points. At the end of the quiz both teams were tied on 39 points and the tie breaker came into play. Aycliffe won the tie breaker and they were then handed the trophy by the Consett quiz captain. Thanks to the quiz master Derek Freeman and Consett Rotary Club for an enjoyable evening.